We spent much of the day on Tuesday cleaning gutters in Kula and Makawao. Our time was spent cleaning out the gutters on top of both garages and two story homes, taking us up over 30 ft. We avoided solar panels and pulled out over 100 lbs. of mud, dirt, and leaves. 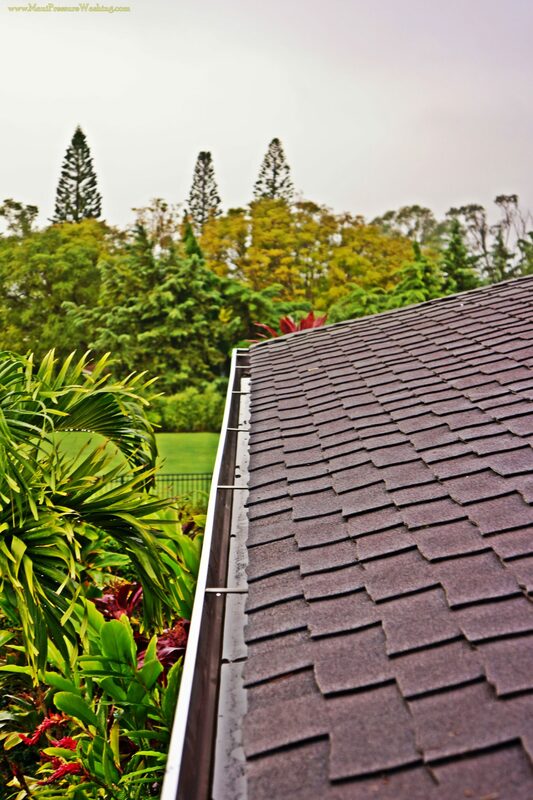 Our Kula gutter cleaning projects are always on tall homes with complex gutter systems. Gutter Cleaning, Kula, Makawao, Maui, Maui Cleaning. Bookmark.